Every year the Estonian broadcaster ERR is arranging a lavish national final with two semi-finals and a big final which is called “Eesti Laul”. This concept has proofed as quite successful. The creative Estonian music scene is very well represented and shows a lot of new energy and power. And furthermore the Estonian entries have been quite successful in the Eurovision Song Contest recently. 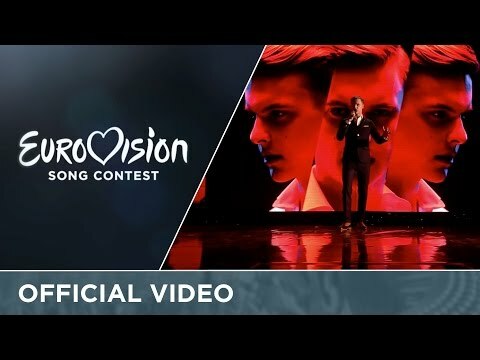 This year’s winner Jüri Pootsmann will represent Estonia in Stockholm with the song “Play” . There are the same composers from last year’s entry “Goodbye To Yesterday”: Stig Rästa, Vallo Kikas and Fred Krieger, which made a 7th place in the Grand Final in Vienna. Jüri was born in Raikküla (south of Tallinn), Estonia in 1994, that year, when Estonia entered the ESC for the first time. Right now Jüri is one of the most wanted singers in Estonia! He has won the Estonian version of Idol 2015 and became a super star. He also had the chance to sign a contract with Universal Music. Beside of that he was voted as Best Male Act at the 2015 Estonian Music Awards. Now he has the chance to show is talent on a European stage at the ESC in Stockholm. The song “Play” is another unusual entry from Estonia. Very different from all the previous ones and unique in its own way. Jüri’s bass-baritone voice is unusual dark and makes his song very special – even a bit retro. The whole combination of his excellent voice, his gentle good looks and his 60’s style makes the whole concept very well working for the ESC. The song is about love, in particular the seduction part – just hit the key “play”. Estonia had its debut in the year of 1994. In the year before there has been an international pre-selection, which was held in Ljubljana, Slovenia to choose three songs for Millstreet 1993. The Estonian entry “Muretut meelt ja südametuld” sung by Janika, could not achieve one of the higher placings, with the effect that there was no Estonian debut in that year. Nevertheless the Estonians really became Eurovision enthusiasts over the years, this year in Stockholm it will be the 23rd time for Estonia in the ESC. There have been many good and memorable songs with good placings, and mostly Estonian entries can qualify for the Grand Finals. Estonia reached the Grand Final for 14 times and even reached a Top10 position 9 times! In 2001 the big dream for Estonia came true: Tanel Padar and Dave Benton made a surprise victory with the soul dance number “Everybody”. At that time it was the very first Eastern European country to win the ESC. The year after the Estonian broadcaster ERR has organized a wonderful event in the capital of Tallinn. The Estonian national final is called Eesti Laul and has brought many contemporary and experimental music in the spotlight. In this event all music genres can be found, and some of them make it to Europe thanks to the ESC.